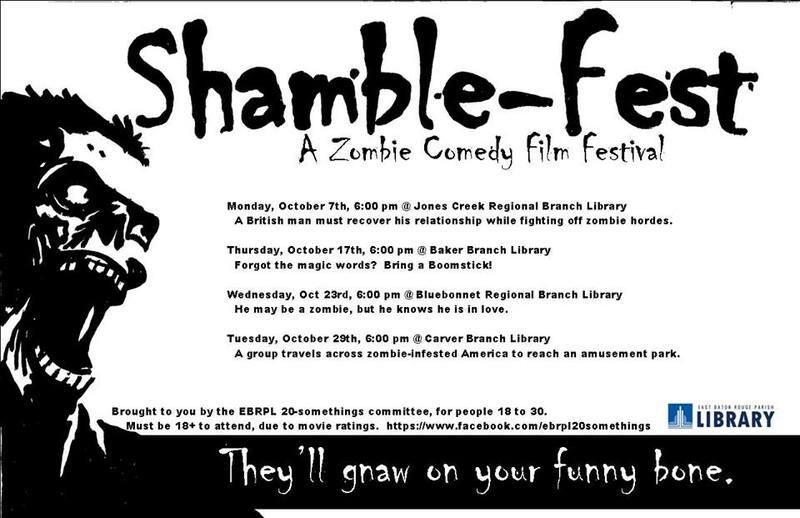 Hey 20somethings, join us for a zombie-comedy film festival during the month of October. We will be showing a variety of movies at various locations. A British man must recover his relationship while fighting off Zombie hordes. He may be a zombie, but he knows he is in love. A group travels across zombie-infested America to reach an amusement park. Brought to you by the EBRPL 20somethings committee, for those 18 to 30. Due to movie ratings, must be 18+ to attend (Bring photo ID). Follow other 20something programs at EBRPL 20Somethings on Facebook.